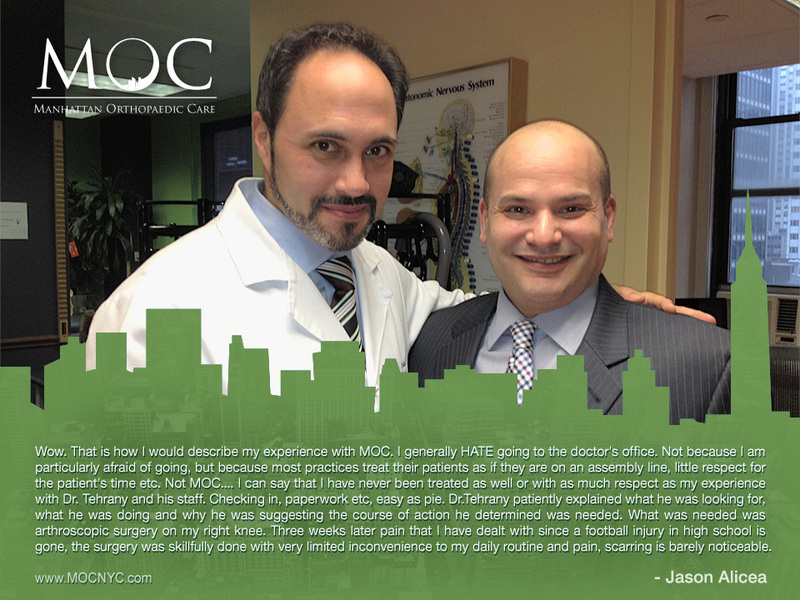 We’ve received amazing praise before, but never have we come by a thrilled patient who described his experience with Manhattan Orthopedic Care with such exuberance. 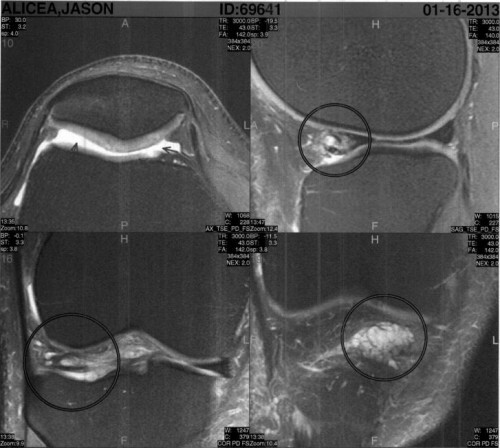 Jason Alicea came into the office with a pain in his right knee, and after the arthroscopic knee surgery, he left full with appreciation, and feeling like “I was consulted with, not dictated to”. “Wow. That is how I would describe my experience with Manhattan Orthopedic Care. I generally HATE going to the doctor’s office. Not because I am particularly afraid of going, but because most practices treat their patients as if they are on an assembly line, little respect for the patient’s time etc. Not MOC.”, said Mr. Alicea. “From soup to nuts, checking in to surgery, I can say that I have never been treated as well or with as much respect as my experience with Dr. Tehrany and his staff. Checking in, paperwork etc, easy as pie. Dr.Tehrany patiently explained what he was looking for, what he was doing and why he was suggesting the course of action he determined was needed. What was needed was arthroscopic knee surgery on my right knee. Three weeks later pain that I have dealt with since a football injury in high school is gone, the surgery was skillfully done with very limited inconvenience to my daily routine and pain, scarring is barely noticeable.